1920’s London. This is a heart-warming story of friendship, loyalty, courage and love. Perfect for the fans of Elaine Everest and Daisy Styles. A surprise financial inheritance and gift of a beautiful silver Rolls Royce leads them to set up in business as female chauffeurs and the Silver Ladies of London is born. But driving is a man’s world and the girls face a future fraught with constant challenges. Soon their business; romances and even their friendship come under threat. Can the Silver Ladies overcome their struggles and find love, success and happiness? Featuring four heroines, a scandal, a secret and a silver Rolls Royce. Born in Manchester but currently living in Hertfordshire, Lesley’s career has included law and charity fundraising. She is now devoting her time to her own writing and to teaching creative writing to others. In addition to selling almost 90 short stories to the women’s magazine market, Lesley has won the Festival of Romance’s New Talent Award and the Romantic Novelists’ Associations Elizabeth Goudge Cup. 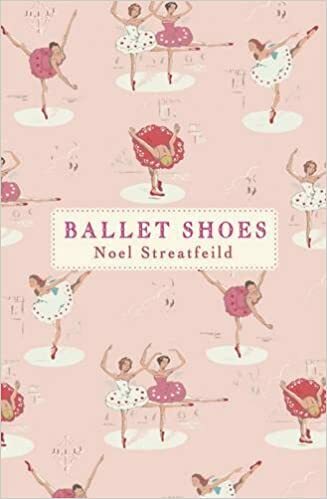 Ballet Shoes by Noel Streatfeild is a wonderful story of three young girls who aren’t related but are all ‘adopted’ by an eccentric fossil collector who then goes missing leaving his household and the people in it struggling to make ends meet. It’s also about ballet and acting, and I wanted to be a ballet dancer or actress when I was younger (yes, I was delusional). Fortunately, I also wanted to be a writer so that’s all right then. The girl in Daphne du Maurier’s Rebecca, whose name is never disclosed, is unforgettable. I love how she develops as a person as a result of what happens in the story, her insecurity giving way to confidence and authority as she learns that all at Manderley is not how she’d first thought. I’ve written many short stories for the women’s magazine market, some of them with serious themes such as bereavement and infertility, and others which are more light-hearted. I’ve enjoyed writing all of them and I’ve especially enjoyed creating the characters. I became eager to write a longer story that enabled me to dig deeper into some characters’ emotions and experiences, and Ruth, Lydia, Jenny and Grace – the lead characters in The Silver Ladies of London – soon leapt into both my mind and my heart. Although they have different personalities and battle different issues, these four young women are bound together by the friendship that develops when they work in service in provincial England – until they’re caught up in a scandal and find themselves dismissed without references. I wanted to explore how each of them copes with opportunity as well as adversity, and in setting the story in the early 1920’s I was able to draw on a fascinating social landscape in which some people enjoyed fashion, fun, jazz clubs and glamorous cars while others suffered grinding poverty. Gradually, The Silver Ladies of London began to take shape. Then romance came knocking at my characters’ door, bringing them new excitements and still more complications. Luckily I write in private because anyone watching me would probably fall about laughing or rush to get me some ‘help’. I cry real tears when my characters are distressed, laugh out loud at their antics, and get excited or angry on their behalf. It may sound odd, but if my characters don’t exist as ‘real people’ for me, how can I expect readers to believe in their personalities and lives? This picture (attached) shows my ‘Inspiration Tree’. Actually, it isn’t my tree at all but one that lives in a garden near my house. I passed it by chance one day and now I pass it often. With its twisting trunk and swirls of differently-coloured bark, it reminds me that the beautiful, the unusual, the fascinating and even the magical can be found anywhere. We just need to look out for it, enjoy it and let our imaginations wander. 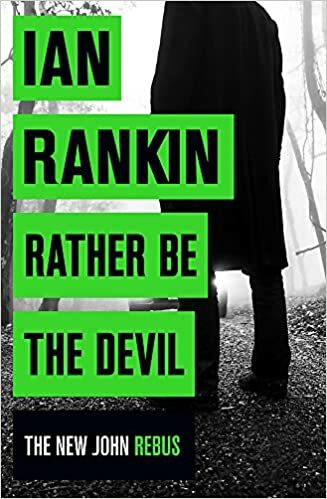 I loved Rather be the Devil by Ian Rankin because it features John Rebus, a flawed but absolutely fascinating character whose adventures I’ve been following for years..
My book begins in 1923 and features both the poverty and the fun of Roaring 20’s London with its fabulous flapper dresses, jazz clubs, cocktails and glamorous cars. The Charleston is therefore perfect for the period, especially as my characters get the chance to dress up and dance at the Velvet Slipper Club. M People weren’t even twinkles in their mothers’ eyes at the time in which my story is set, their song, Search for the Hero, also feels right. It’s about searching for the hero inside ourselves until we find the key to our lives and my characters, like all of us, have to work through challenges and find their inner heroes at times. I’m the sort of person who’ll read cornflake packets if there’s nothing else available. I love reading stories about people (fictional) and how they cope with the challenges life throws at them. This means that romantic stories are definitely amongst my favourites but I also like reading crime fiction which explores what makes people tick in a different way. For me, engaging characters are a must when I’m reading and also – I hope – when I’m writing. I’d like to know which of my characters readers like best and why. I’m currently working on another 1920’s saga. This story is set in Brighton and tells the stories of Thea, Anna and Daisy. I’m having a fabulous time writing about them. I’ve not read ballet shoes but it sounds like a good read.